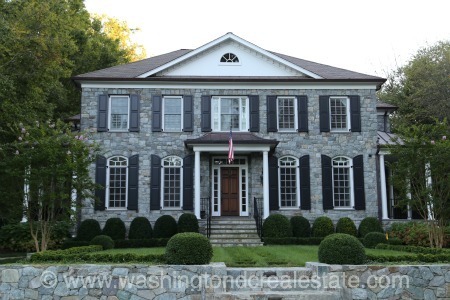 River Oaks neighborhood of single-family homes located in McLean, Virginia. Originally developed in the 1950s, 1960s and 1970s, the community features an eclectic mix of architectural styles including Colonial, Rambler, Contemporary and Craftsman style homes. In recent years, significantly larger and more expensive homes have been built in the community. The River Oaks neighborhood is located in McLean just north of the intersection of the Beltway and Georgetown Pike. The neighborhood is located on both sides of the Beltway and can be accessed via Balls Hill Road. River Oaks is served by the Churchill Elementary School, Cooper Middle School and Langley High School.